As the end of the 2018/19 tax year rapidly approaches and for a number of businesses their financial year-end, this month brings a number of challenges and opportunities. 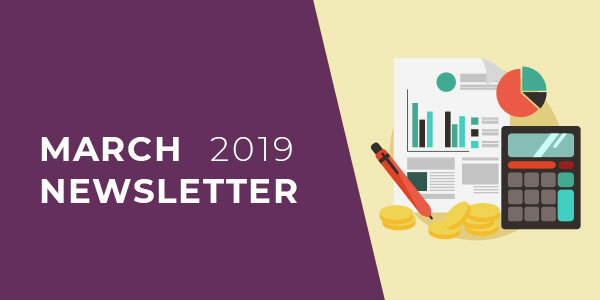 We have been highlighting these in previous editions of our newsletter and updating where possible, but in summary, if not considered already, you should be considering year-end planning, making tax digital and preparing for no deal Brexit, if applicable to you. For some business owners it will be all three! More detail on this to follow below. At Harbour Key, having caught up following the 31 January self-assessment filing deadline, Helen has been busy updating and improving our IT systems, which once complete will provide clients with easier access to their information. We know the encrypted emails have been causing a few issues! Emma is spending March walking 10,000 steps a day in aid of Cancer Research UK (we will have no carpet left in the office). If you would like to support Emma’s fund raise, please make a donation via her fundraising page. Now is a good time to consider your financial position and check whether you have taken full advantage of the tax reliefs and exemptions that are available before they are lost, as well as prepare for the new tax year, whether personal or a business. 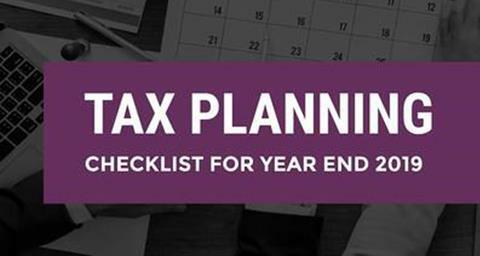 Our link will take you to our year-end tax planning checklist and if there are any items you wish to follow up, please do not hesitate to contact us to discuss. Remember, tax year-end is 5th April and most actions need to take place before this date. As we send out this edition of our newsletter, there is still no certainty over the UK’s position re leaving Europe, following the Prime Minister's deal being rejected for the second time. 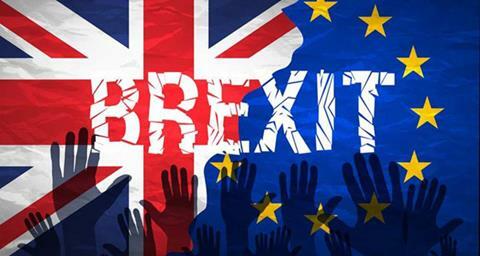 Our advice remains the same, prepare on the basis that the UK leaves with no deal, which is the message being pushed by HMRC who are writing, emailing and using social media to contact businesses. HMRC have introduced the online service for obtaining an Economic Operator Registration and Identification (EORI) number, which is required to export to the EU if we leave without a deal. The above is without having to worry about the usual new tax year changes, such as increases in national minimum wage, employer pension contributions etc, which are summarised in our year-end planning checklist. Spring statements are now not about lots of tax changes, this is now for the Autumn Budget. The Spring statement is more about giving an update on the UK economy and spending plans, although with the Brexit turmoil much of this has been delayed, other than some emergency spending for services like the police to deal with the rise in knife crime. A spending review will take place later in the year. The Chancellor stuck to his word and no tax changes were announced – but then we are waiting for the Finance Act from the Autumn Budget. As part of the Spring Statement, the government published a policy paper on tackling tax avoidance and evasion, claiming to have protected £200 billion in tax and introduced 100 measures since 2010. We are receiving a number of queries from clients re delays in tax refunds from HMRC or repayments being made in error. We had issues in February in matching up client payments to tax liabilities as a result of issues with HMRC systems. A computer glitch saw the online system tell many users that no payment was owed. It is reported that Brexit is causing the problems for HMRC (before we have left!) and is delaying the mailing of self- assessment penalty notices by a month, as HMRC staff are being allocated to teams and tasks related to a possible no deal Brexit. HMRC has confirmed that payments on account due for the 2019 tax year will not have to be paid until January 2020, for those where their payments on accounts schedule has been messed up. (Usually taxpayers have to make two payments on account towards the next year’s bill). We are managing the process in respect of our clients as best we can, as we are aware of the payments that our clients should be making, which may be different from correspondence received from HMRC! SDLT, the tax payable on the purchase of a property in England above a certain value, is now required to be paid within 14 days of the sale completion, down from 30 days with effect 1 March 2019. The current penalty regime for late filings and payments will remain in place and SDLT defaulting purchasers will have to pay an automatic fixed penalty for failure to return by the filing date. The amount of the penalty depends on the lateness of the return. The FRC (was) the body that sets the standards for Company audits. The organisation as come under a lot of pressure recently due to the quality and standard of audits which have not flagged up serious issues in businesses such as Carillion and Patisserie Valerie. It is now to be replaced, but then when a bricklayer complains to Companies House that the FRC’s most recent filed accounts had handwritten changes (with certain parts being illegible!) it doesn’t inspire confidence in the organisation that sets the audit standard! MTD is part of the Government’s plan to make it easier for businesses to stay on top of their day-to-day accounts. 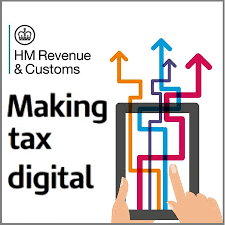 HMRC wants to be one of the most digitally advanced tax administrations in the world – improving efficiency, effectiveness and ease of compliance, which means no paper and more regular reporting. VAT is the first milestone for MTD with the requirement to keep digital accounting records and file VAT returns using MTD compliant software by April 2019 (the first VAT quarter starting on or after 1 April 2019). The current online VAT return submission which all VAT registered businesses complete will not meet the requirements for MTD and will be phased out. All VAT registered businesses (as there are few exceptions) have to be ready and able to file. See our factsheet on preparing for VAT MTD. Main rate of corporation tax remains at 19%. Capital allowances rate for special rate assets reduced to 6%. VAT registration threshold remains at £85,000. VAT de-registration threshold remains at £83,000. Revised VAT grouping guidance becomes effective. Last day of the 2019 tax year and for undertaking any tax planning. Start of the personal tax year 2019/20. Higher rate threshold increased to £50,000. Capital gains tax annual exemption (individuals) increased to £12,000. ATED return and payment for the year 1 April 2019 to 31 March 2020 due. This is payable by any company (or similar entity) owning a UK residential property with a market value of more than £500k on 1 April 2017 (or date of later acquisition). Gloucestershire Business Show at Cheltenham Town Hall. Please do not hesitate to contact us if you wish to discuss anything covered in the newsletter or any tax, accounting or business-related matter. To find out more about Harbour Key, or any of the issues above, visit our website, contact us by email or telephone on 01452 713277.